Finally posting something of mine for a change. It's been a very busy summer - lots of camping with friends and family, and of course, lots of riding. 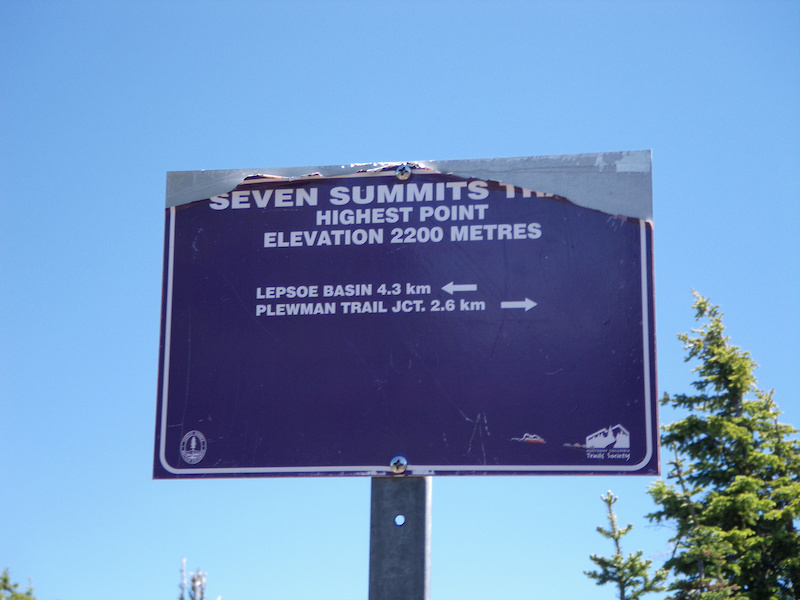 The highlight ride was Seven Summits in the Kootenay's, in August, on a family camping trip. If you've never been to the Kootenay's, you're missing out; it's such a beautiful place. Base camp was Christina lake campground. It was the perfect spot for a family trip and not too far from the trail. The campground has everything you need: warm lake with private beach access, trails for the kids to explore, and it's not too far from amenities. I didn't feel too badly leaving the wife with the kids for the day. There was a lot to do. We started the ride a bit late in the morning as we sorted things out at the camp site. The weather looked good with a bit of overcast, seemed like the perfect day; not to hot and not to cold. I can see, that on a hot day the climb could be fairly difficult but on that day it was perfect. We dropped one car off in Rossland then drove to the trail head. The trail head is well signed and hard to miss, so finding the trail is dead easy. Finally there, we where heading up for the first part of the trail - all uphill to the highest point. An hour later and we reached the top. From there, it's flowy alpine single track until you are back in the forest an other hour or so later. Navigation is as simple as it gets. The trail is well marked, making it virtually impossible to get lost. The hardest part of the ride is keeping your eyes on the trail. You're always looking at the view thinking the trail is easy. But be warned, as easy as the trail looks, it's easy to get taken out by a rock or loose corner. A few times I had close calls, and the drops on the sides of the trail in some sections are STEEP! The last third of the trail is super fun. Keep that in mind and don't burn out, as you want to keep some energy for the last downhill section back to your car. The downhill is long! I can't remember exactly how long (at least 30min) but let's put it this way, my arms and hands where hurting! What an ending, small pops/jumps, fast corners, etc. As I said, super fun, I just didn't what it to end. After 6 hrs of absolute awesomeness, it was over. We headed to the nearest pub for the mandatory beers, and excitedly exchanged our thoughts on the ride. I'll be back, that's for sure. The proximity to a good family campground make it an easy choice. Maybe I'll see some of you out there? ?